For those who may not know, I’m on the Board of The Blind Spot Animal Sanctuary. In an effort to use my craftiness to help these amazing farm animals, I make Christmas cards for those who donate throughout the year showing gratitude for their generosity and hoping to inspire them to give one last time before the end of the year. The first year I sent out about 75 cards. Last year I send about 140 cards. Based on that trend I’m starting early and knocking them out so I’m not slammed at the busiest time of year. My goal is to have around 200 cards done by November. During a recent scrapbook weekend in Myrtle Beach I spent an afternoon with 2 card kits and created a total of 56 cards…a few more weekends like that and I’ll be all set! 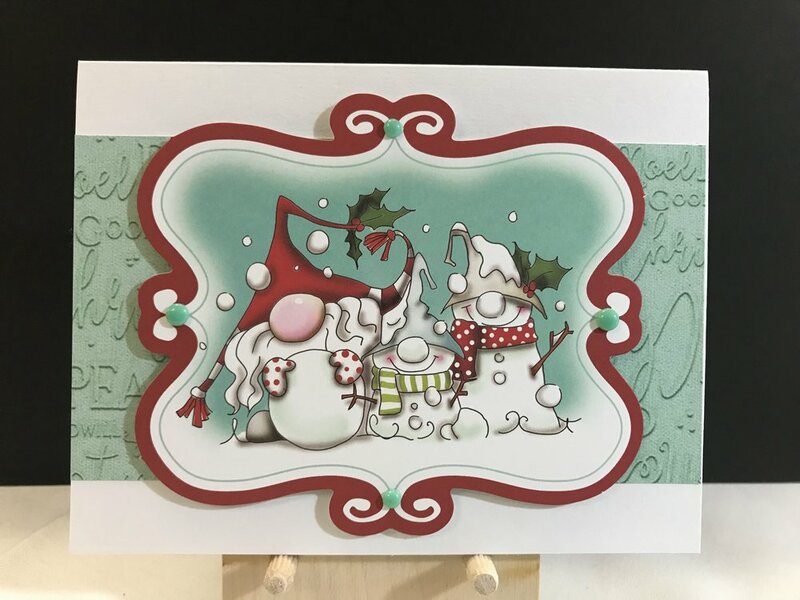 Today I’m showing off some holiday cards I made from one of the kits. 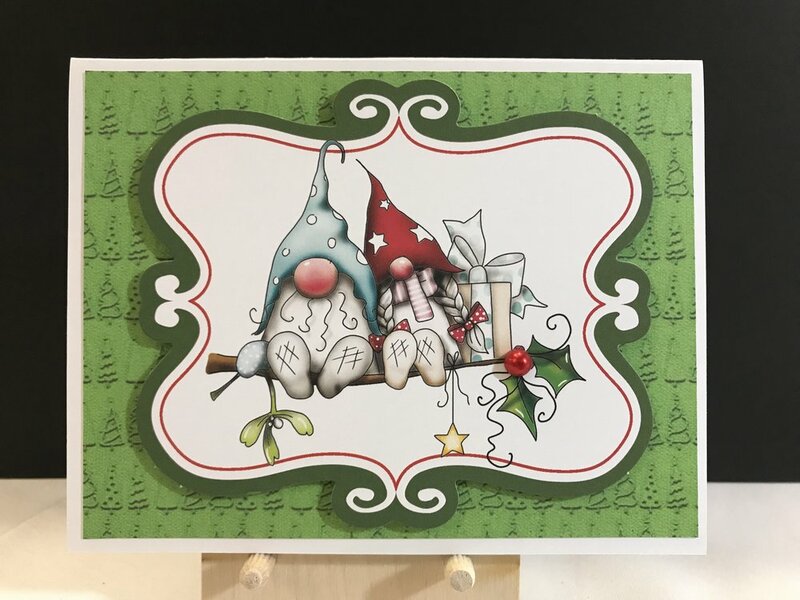 The kit was purchased from HSN and features some crazy adorable gnomes. From this kitI made 24 cards with a ton of leftover stuff to give to a friends to make her own cute cards. These cards are not fancy but whimsical and fun. I hope the future recipients enjoy them. Merry Christmas in February my crafty friends!